Felix&Friends celebrate colour with Kiki McDonough. With a flair for colour and a passion for creating modern, everyday fine jewellery, Kiki McDonough’s collections are sought-after throughout the world. Kiki McDonough has seen rapid growth over the last decade, attracting a clientele far beyond the brand’s flagship store off London’s iconic Sloane Square. The brand’s original and wearable pieces are designed for women of all ages, for any occasion. Where other luxury jewellery brands often restrict their range to white and silver, Kiki’s distinctive designs use bright gemstones in exciting colour combinations. 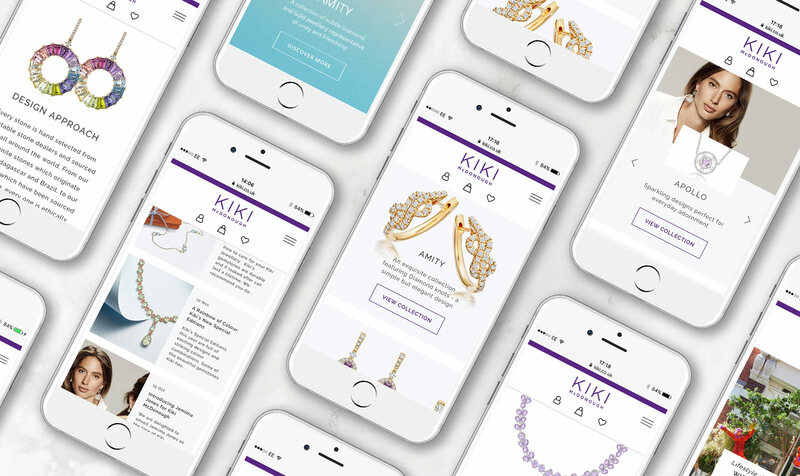 Felix&Friends embraced this USP of Kiki’s to showcase her collections and create a bold new website that would celebrate colour across all collections. The new website was designed to give the jewellery real impact, making the collections easier to find and the visuals as stunning as possible. Every Kiki McDonough collection is very different, so the navigation was designed to give users an instant introduction to each collection. Felix&Friends also created an easy-to-use filtering system so users can find any piece by gemstone, colour, collection or gold type. For the first time, the website presents ‘Kiki Special Editions’, which are now available to buy online as well as in store. 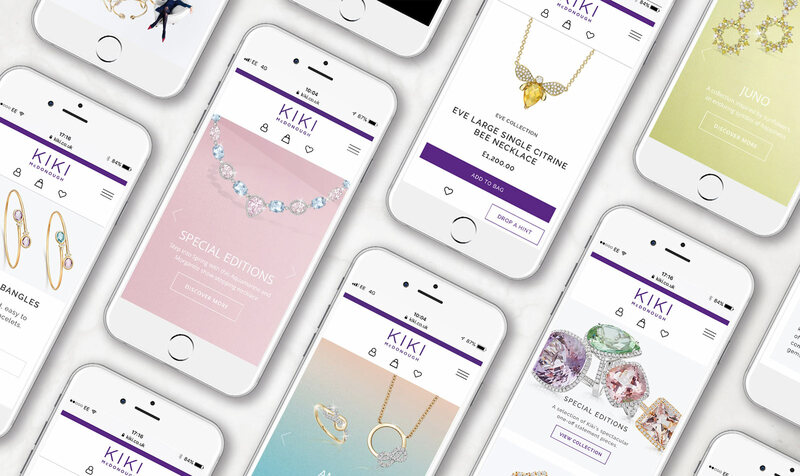 Another new feature of the website is the ‘Kiki Loves’ page, which allows Kiki to share her news, thinking behind her newest pieces and tips on what to wear when, creating context for her jewellery collections. 2. Users have been able to view, find and purchase items easier. 3. The new website has increased online sales over 37% year on year. We are delighted with the rise in sales from the new website, our customer feedback has been excellent. The 37% increase in online sales is a direct result of the new website and intuitive design from Felix&Friends. Our customers are now able to find and view our product easier than ever before, therefore driving sales.